As per the survey, 99.5% of people prefer computer as their storage device. Nowadays, the laptop also takes place and proficiently utilized across the globe. Users can keep their word documents, valuable photos, viral videos, and other important data in it without any hassle. Nevertheless think, what exactly happens if you lose your crucial word file. We know that this is a heartbreaking situation for anyone. But, almost every single user has experienced this deleted data files from computer/laptop issue once in their entire life. 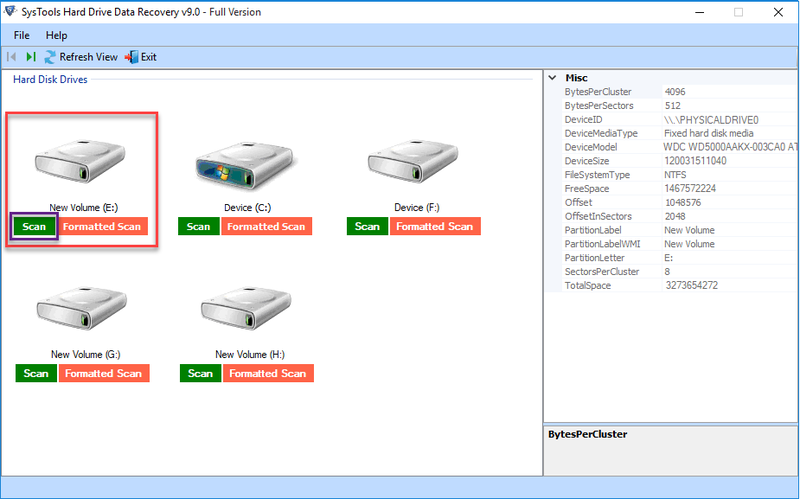 So, we took this issue into consideration and come up with a smart way to recover your deleted data from SSD. Furthermore, this is a common issue that can be resolved within a few minutes. Simply, follow this flawless guide to do so. When users unintentionally or intentionally deleted their data files by pressing the shift+delete keys together. Then that file will be removed permanently from the local machine. In this situation, users should stop utilizing the existing storage device to prevent an overwritten issue. Because any data file is overwriting so, it will be irreparable. We know this is not a known case by all the users. Mainly, if any data file is normally deleted from an external storage device like pen drive, USB drive, thumb drive, hard drive, memory card or SD card. So, it will permanently be wiped instead of going to a trash bin. After that, no free solution can I recover your deleted files from pen drive. In this circumstance, only professional software works adequately. If you deleted your data normally then, you can recover your data from recycle bin. But if you deleted your data from recycle bin by pressing a shift+delete button. Its recovery is not possible to recycle bin. Rather you have to avail some reliable tool. After analyzing and considering all the above-stated different cases. Now, its time to proceed towards the reliable workaround which works in multiple arenas appropriately. Is it possible to recover deleted word documents? How do I recover a deleted word documents that I didn’t save? How Do I retrieve deleted documents? Can I retrieve a deleted word document? How to recover a deleted word document 2016? How to recover deleted word documents windows 10? After knowing the fact i.e., no manual solution is available to recover permanently deleted word documents from My computer. But, if we say that you can easily regain your wiped data files within a few minutes. Yes, we are right! 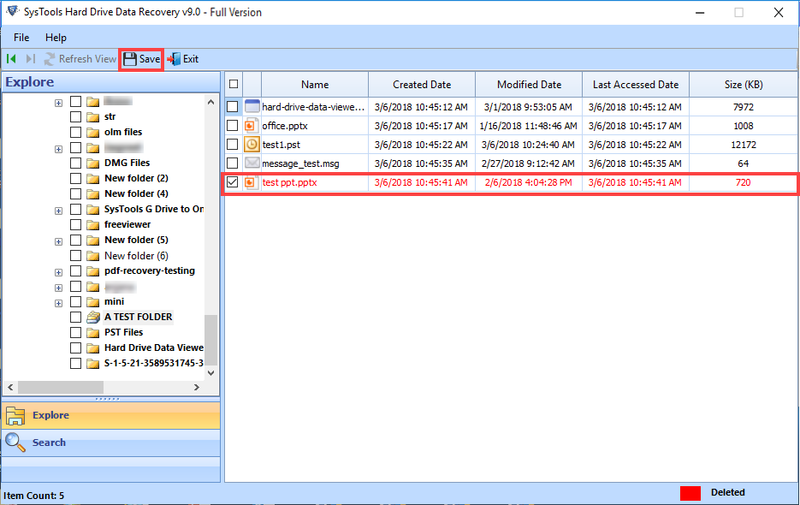 You can easily restore your corrupted, deleted and formatted data from computer/laptop, using this amazing tool named Hard Drive Data recovery. Mainly, this facilitates a safe and secure deleted data recovery process. 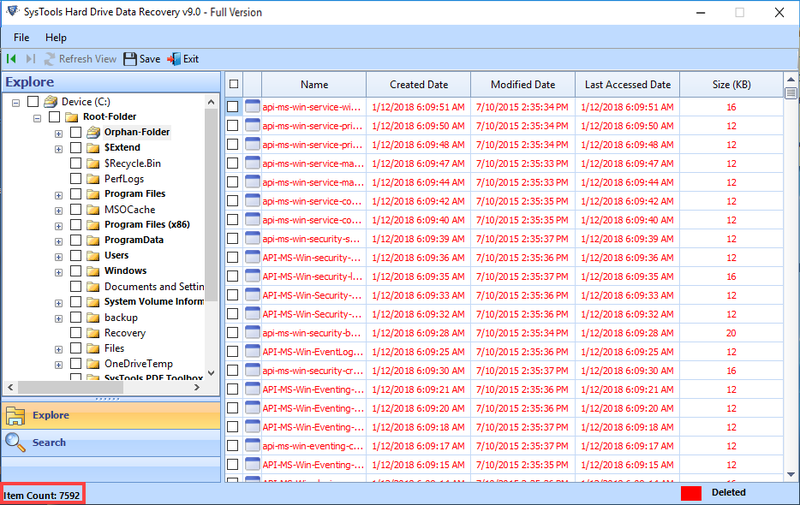 With the help of this utility a user, either savvy or non-savvy can implement the recovery procedure without any hassle. Chiefly, this tool extendedly supports all advanced and below versions of Windows OS and does not associate with any kind of compatibility issue. Hence, you can check this proficient utilized computer data recovery software via visiting its official website. Here, in this segment, you will get the instructions to implement the permanently deleted word files recovery procedure. All the steps are disclosed sequentially. You just have to follow all of them to get the expected output. Now, the utility will provide you two options such as Scan and Formatted Scan. So, you have to select normal Scan to proceed ahead to restore files after permanent deletion from hard disk. After completion of the scanning procedure. Here, the application will show all the information in the left pane of the application. 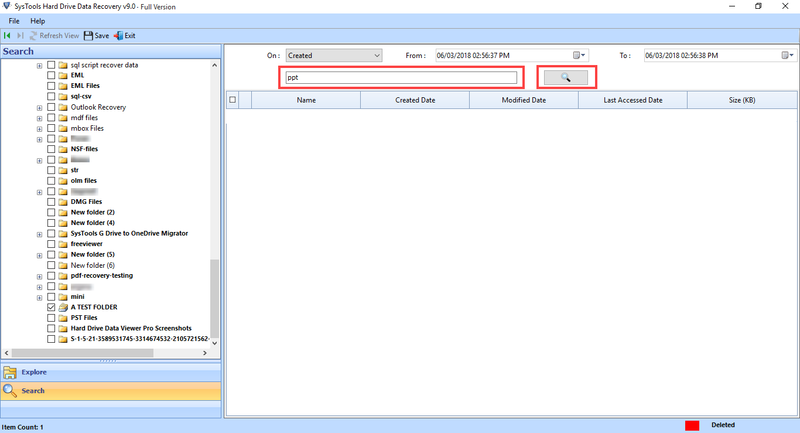 However, this software will automatically highlight those folders which contain data files inside. 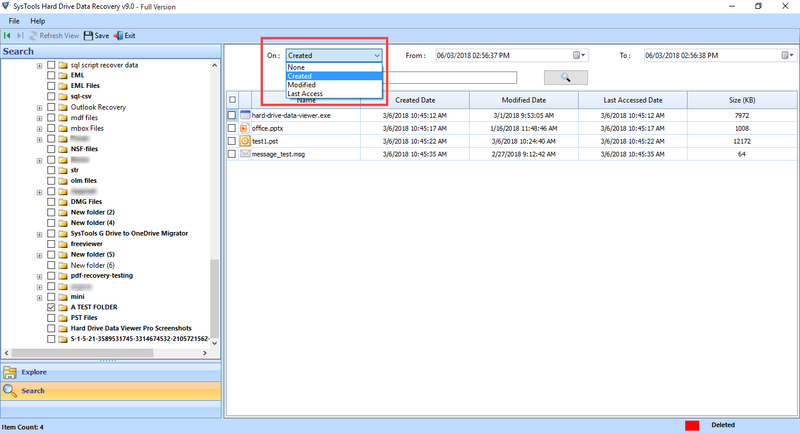 Afterward, you need to click on any folder to expand and explore to review the whole data into the right pane of the software. Then, the tool will display all the restored word files in the right panel. From here, you can export and save either specific or all retrieved files as per your necessity. Additionally, the software will facilitate a search option to find out a particular data file. To do the same, you just have to click on a drop-down list of adjacent to On. And then, opt an option from Created, Modified and Last Access according to your requirement. Fill the From and To date fields from the date filter option to move further. After that, add the desired file name in the search bar and hit on the search icon. Then, the search process will begin properly, you should wait for some time. Once the search procedure is being completed. So, you can view your desired file in the right panel properly. Once you select the preferred data files to export. So, hit a click on the Save button to start the export procedure properly. Finally, the software will notify you with a pop-up message which states Export Complete Successfully. Subsequently, you have to hit on OK to quit the export procedure. 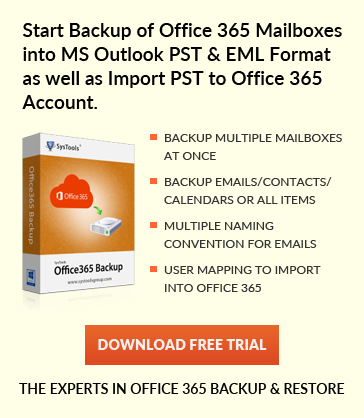 Now, you aware of the approach to recover permanently deleted word documents from hard drive etc. without any hindrance. As we all know, no manual solution is obtainable in this arena. So, an only automated solution can work effectively and efficiently in this circumstance. Despite that, you got so many resolutions while you come across to the internet. But, it’s your time to find out the difference between the best and worst.